I just got into Boston for the WebmasterWorld Pubcon conference and as I am trying (in vain) to catch up on a few things, I saw Danny’s post today over at Search Engine Watch blog about having written for 10 years about search engines. Wow. Maybe “Anniversary” is a better word than “Birthday”, but you get the point. As usual, Danny’s post is VERY thorough, detailing how he started out all the way to a list of thanks to the people who helped him make Search Engine Watch what it is today. After reading that post, I thought: how in the world will I ever be able to come up with interesting interview questions for Danny?¬† He’s the most transparent search engine expert on the web! There’s Search Engine Watch, Search Engine Watch blog, the Search Casts, the conferences, articles, newsletters, a personal blog and he drops in on forums and discussion threads too. Instead of me interviewing Danny, how about the readers of Online Marketing Blog? If you have a question about search engines, seo, sem or related, email me and I’ll include it in my list of interview questions. 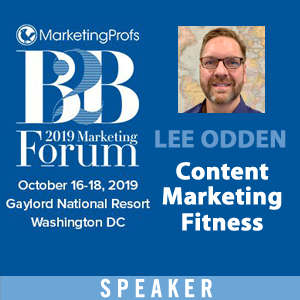 lee i think a great line of questioning would be about user behavior and how search engines are using it to rank their serp’s. google has the toolbar and other apps collecting data but one area i am also interested in learning more about is traditional traffic patterns and user data collected during regular web searches. are quantity of searches, clicks, non-clicks and amount of time spent at a site factors in rankings? what other methods are there to collect user behavior data? did this begin with the florida update and is big daddy the google structure change that will allow the brunt of user behavior data to surface in the serp’s? i think search is definately going away from the on the page optimization more and more. what is next? My follow up interview question to that would be to see if Danny had any specific ways that seo-sem buyers could get “references” from people or companies who are not under “undo influence” of any kind to be positive or negative in their reference giving, and only tell the truth as they see it. Danny has always recommended that seo-sem buyers get, and fully check out, references.